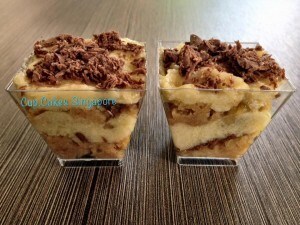 Almost everyone has heard and tasted an original tiramisu but have you ever tried a tiramisu that is durian based? Well, we are launching a new product which is our Duramism!! 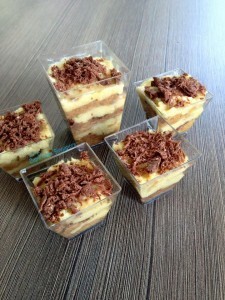 Coffee soaked lady fingers sandwiched between layers of durian pureed frosting and chocolate flakes. This combination may sound slightly weird but it creates a fireworks in your mouth This dessert is very light and one cup may not be enough! 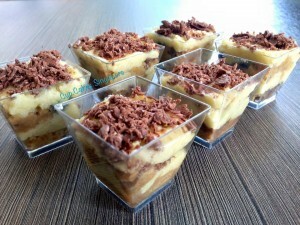 If you love coffee and durian, you will be head over heals over this dessert. Can’t wait to try this out? Hurry and place an order now!